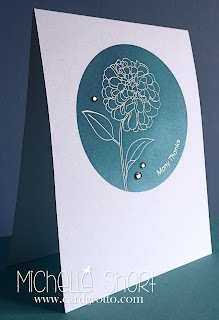 Hello there when I saw the latest challenge over at Less Is More was to make a one layer thank you card I knew I had to take part. 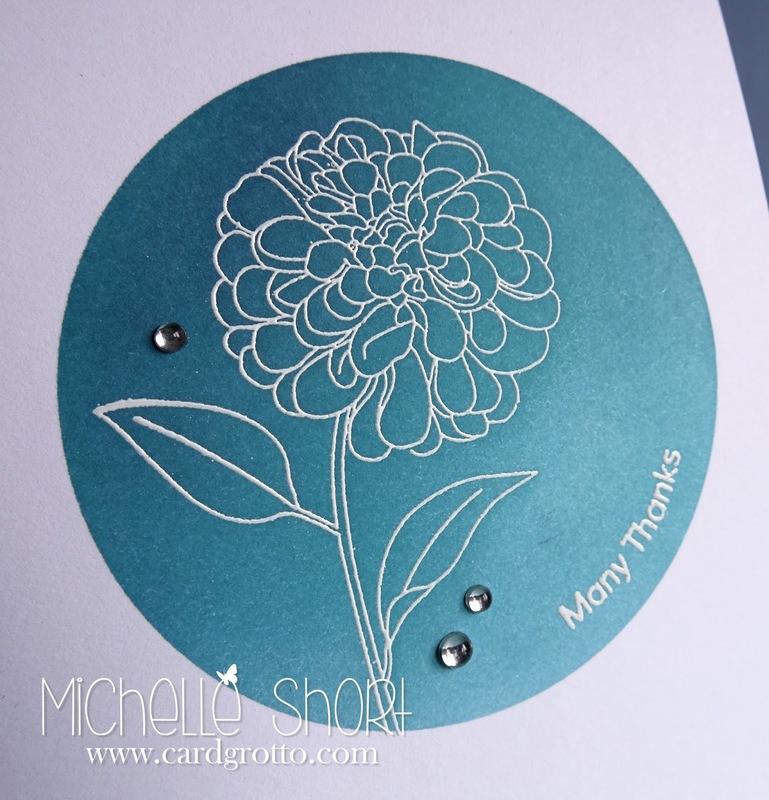 I love one layer thank you cards, they are always handy to have. For my card I have used the Clearly Besotted Stamps Take Good Care set. 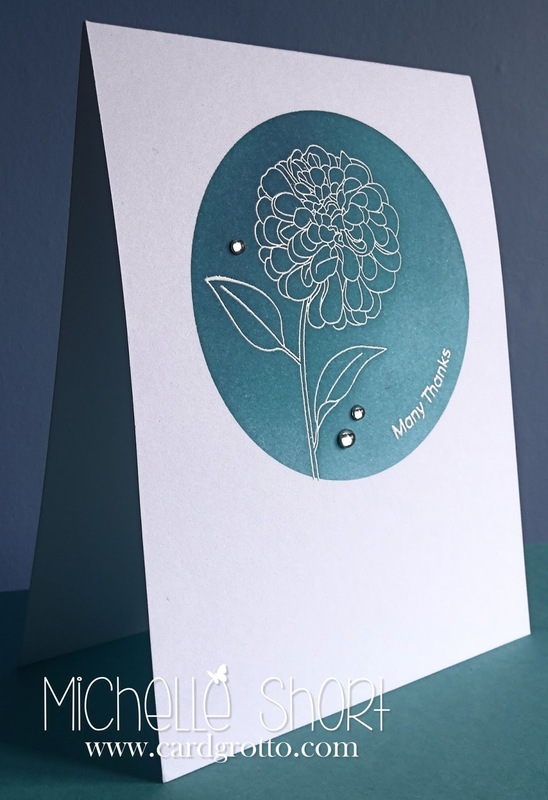 I have embossed the flower using white EP and then gone over it with various TH Distress Inks using the Ranger Blending Tool. The sentiment is from the Butterfly Wishes Additions set. Sorry about the dark background in the photos, its getting harder to get a good photo here now it is getting into winter. I know some of you lovely people like to pin my cards to your Pinterest boards (thank you) so I have made it easier for you to do it. Now you just have to hover over the photo of the card and a button will come up, you can click this to pin it easily. I had meant to do this earlier but forgot, sorry. Hope this helps some of you though. Thanks so much for visiting today, hope you are all well. This is terrific Michelle, the colours you used are blended brilliantly, it looks amazing! This is gorgeous Michelle! Love the elegant simplicity. WOW! This is stunning Michelle, such a beautiful image and I LOVE the colour. How do you put the pin on every card......? A very elegant card. Great design and lovely colour. 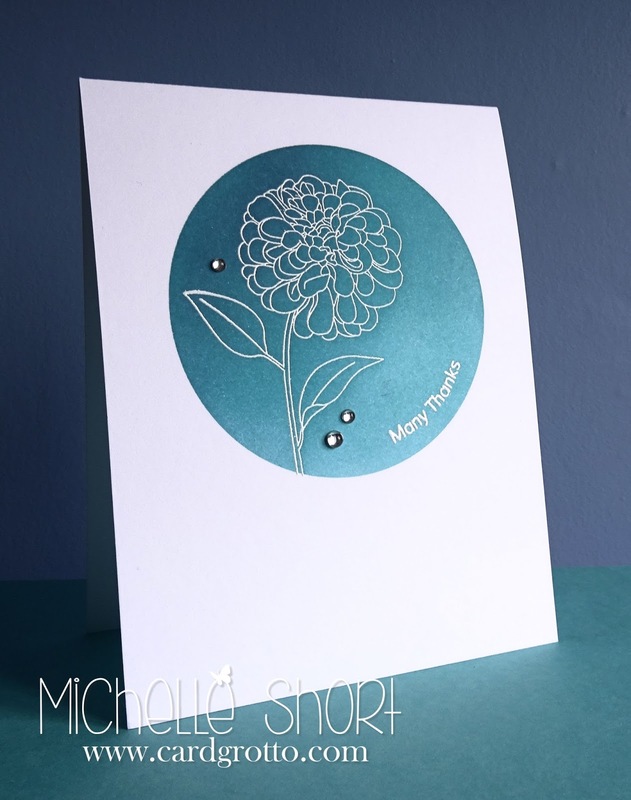 I don't know how I missed this absolutely STUNNING card, Michelle! I love the soft elegance of the flower and your inking/blending is gorgeous!!! Congrats on your 'Shout Out' at LIM, Michelle! Such a beautiful card!